It's even more freezing here! 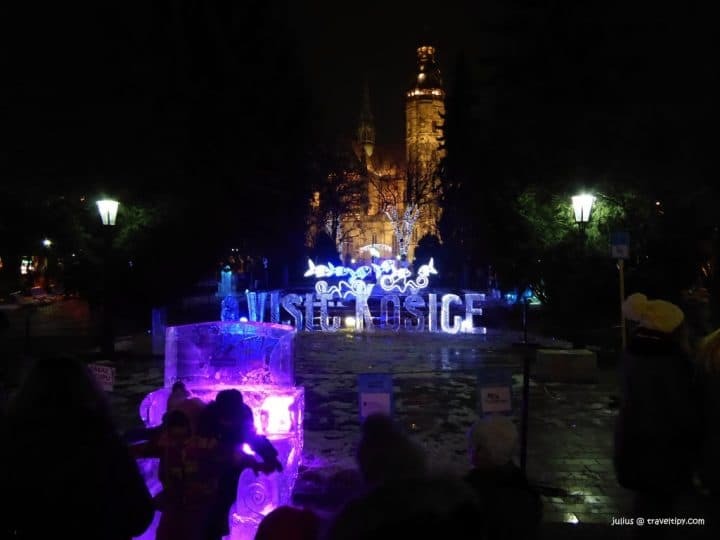 Ice sculptures are back in Kosice, Slovakia! Traveltipy > Slovakia > It’s even more freezing here outside! 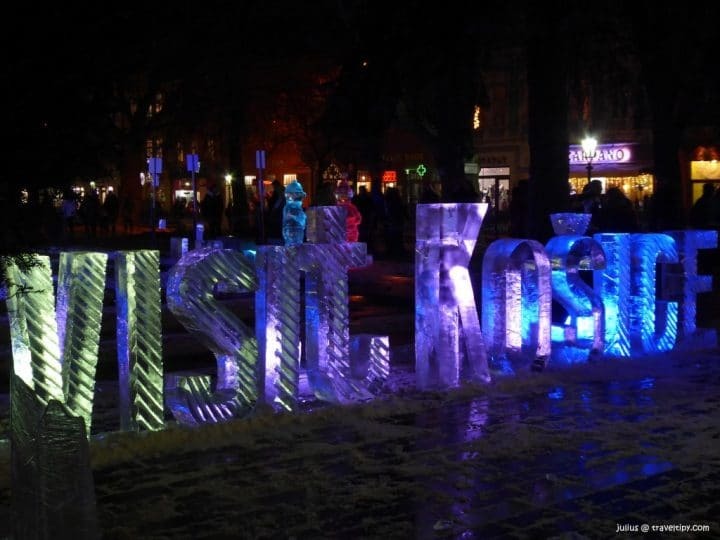 Ice sculptures are back in Košice, Slovakia! It’s even more freezing here outside! 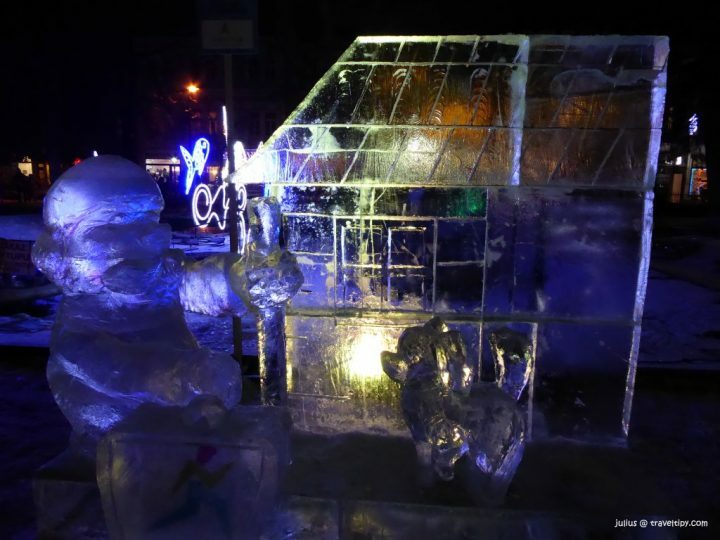 Ice sculptures are back in Košice, Slovakia! 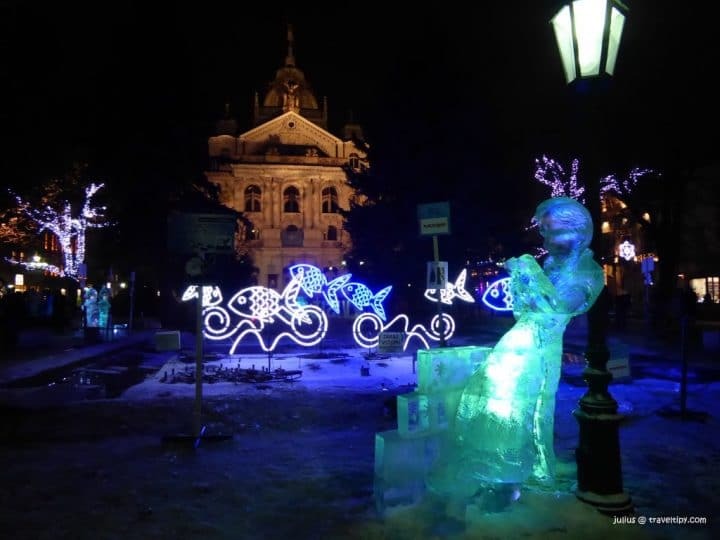 If you haven’t had a chance to visit Kosice during the last several years at Christmas time, you missed one of the city’s biggest winter attractions – Ice sculptures. After a year the city centre has again been featured with fairy tale ice sculptures to add a special atmosphere to an officially named Košice fairy-tale Christmas! Not only Christmas markets with good mead (honey wine), hot wine, punch, sausages, ham and lots of stalls with Christmas and hand-made products are here to enforce you to visit Košice. Not only good Christmas programme with folk groups, theatre performances, Slovak bands but also wonderful fairy-tale sculptures that were just created from ice bricks right in the city centre are here to make your Christmas stay in Kosice even more interesting. After past warm years, the weather forecast is, fortunately, favourable. And after creating these ice sculptures it is even colder here in Košice. So don’t worry! The ice sculptures should definitely wait for you here at least till Christmas, hopefully until the new year! Ice sculptures are here already for the 7th time. They were carved into the clear ice bricks by sculptors from Slovakia, Hungary and Ukraine. And what you can see here this year? As usually, it is a fairy-tale theme, so there are figures from fairy-tales that are well known in Slovakia. Such as Pat and Mat from a Czech fairytale A je to! Or it’s Deduško Večerníček (fairytale grandpa) and his dog who kicked off and ended every evening fairy tale since the TV has been broadcasting in Slovakia. And you can also try the ice throne, but be careful, it’s really cold, so rather have a cup of hot wine before. So this is just one of many events in Košice during Christmas time. If you plan to stay in Košice longer and want to learn and see more in the city then you would definitely like our other article about Top Things to do in Košice! And if you would like to explore the city’s amazing surroundings (it’s also worth a visit! 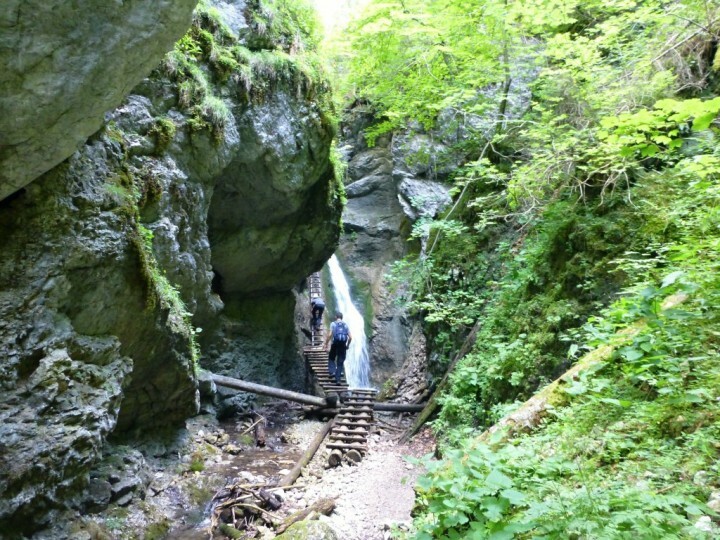 ), then read our article about Top things to do in Košice region!